Attracting over 5,000 people from the local community and beyond, the family fun day takes place on Sunday 10 June at Northumbria Police’s headquarters on Middle Engine Lane, Wallsend. Thanks to another year of support from the region’s biggest bus operator, visitors can take advantage of Go North East’s free park and ride shuttle buses to avoid running into congestion and parking problems. Services run for the duration of the event and depart from North Tyneside Council’s offices on Cobalt Business Park every 10 minutes. 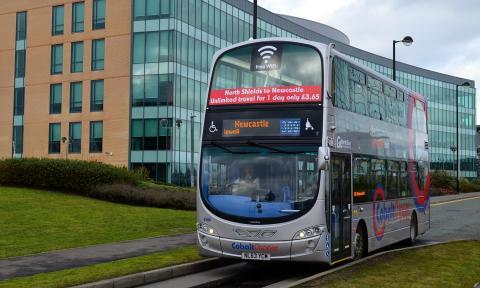 Those journeying from Blyth, Seaton Sluice or Whitley Bay, can hop on Go North East’s 309 service directly to Cobalt Business Park, while anyone travelling from North Shields, Meadow Well or West Chirton can reach take the 310. 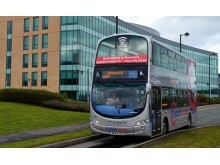 Both the 309 and 310 also continue to Newcastle. This year, attendees of all ages can shake paws with the police dogs, have their fingerprints taken by the Police Cadets, take part in numerous sports and activities and meet the famous Force horses at the annual fun day. Plus, Operation Dragoon officers from the hit ITV show Car Wars will be in attendance. Entry to the event is free for children, with adults requested to make a £1.00 donation. All monies raised at the event will be donated to local charities.